The Slovenian philosopher Slavoj Žižek has an admirable form of reply to the near-continuous dribble of attacks on him, whether from the bienpensant liberals he so enjoys provoking, or even, as last year in the conservative American magazine the New Republic, a crazed and borderline illiterate review alleging that Žižek was a “fascist” and also anti-semitic. He simply writes another book. In this latest instalment of his cliffhanging Saturday-morning philosophical escapades, Žižek announces: “The global capitalist system is approaching an apocalyptic zero-point.” End-times thinking has a long and rather unimpressive history as prediction, but Žižek adopts it anyway (perhaps as a useful lie), organising his material via Elisabeth Kübler-Ross’s five stages of grief (denial, anger, bargaining, depression, acceptance), which are supposed to describe our stages of response to the incipient doom. Occasionally, though, one winces: at a muddled stereotype of “Oriental wisdom”, crudely contrasted to Christianity, or an argument about “harassment” in Britain that is apparently ignorant of the statutory definition. Discussing the idea of a “basic income” for all, Žižek seems just to get bored, eventually dismissing it on the vague grounds that it is “utopian”. His book endorses “a return to the critique of political economy”, yet it seems that this proposal, which would concretely improve the situation of the poor, does not offer enough purchase for a dazzling performance of the revaluation of all values to detain Žižek’s delightfully promiscuous attention for very long. Instead of responding to this with a self-satisfied “Tu quoque!”, one ought here to defend Žižek against his own unconscious self-criticism. What is so wrong with a little idiotic pleasure now and again? Steve Poole, Jornal “The Guardian”, 26 de junho de 2010. 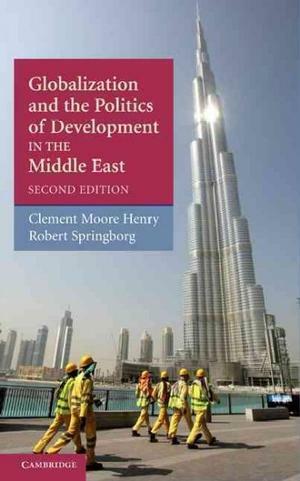 In a new edition of their book on the economic development of the Middle East and North Africa, Clement Moore Henry and Robert Springborg reflect on what has happened to the region’s economy since 2001. How have the various countries in the Middle East responded to the challenges of globalization and to the rise of political Islam, and what changes, for better or for worse, have occurred? 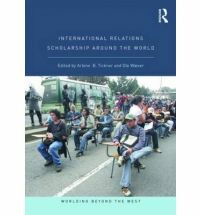 Utilizing the country categories they applied in the previous book and further elaborating the significance of the structural power of capital and Islamic finance, they demonstrate how over the past decade the monarchies (as exemplified by Jordan, Morocco, and those of the Gulf Cooperation Council) and the conditional democracies (Israel, Turkey, and Lebanon) continue to do better than the military dictatorships or “bullies” (Egypt, Tunisia, and now Iran) and “the bunker states” (Algeria, Iraq, Libya, Sudan, Syria, and Yemen). Clement Moore Henry is Professor of Government at the University of Texas at Austin. His publications include The Politics of Islamic Finance (2004), coedited with Rodney Wilson, and The Mediterranean Debt Crescent: A Comparative Study of Money and Power in Algeria, Egypt, Morocco, Tunisia, and Turkey (1996); Images of Development: Egyptian Engineers in Search of Industry (2nd ed. 1994); and Politics in North Africa: Algeria, Morocco, Tunisia (1970). Robert Springborg is Professor of National Security Affairs at the Naval Postgraduate School. Until August 2008 he held the MBI Al Jaber Chair in Middle East Studies at the School of Oriental and African Studies in London, where he also served as Director of the London Middle East Institute. Professor Springborg’s publications include Politics in the Middle East (1999), coauthored with James A. Bill, Mubarak’s Egypt: Fragmentation of the Political Order (1989), and Family Power and Politics in Egypt (1982).